There's no escaping it: a visit to the islands isn't the cheapest (or simplest) trip you can take. But it needn't break the bank, or be excessively complicated. 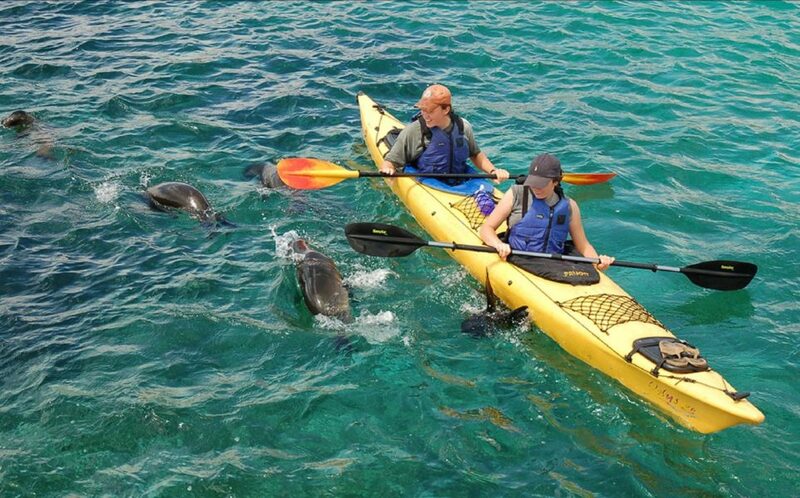 Here's how to narrow down the options and choose the best Galapagos trip for your group. The Galapagos Islands are only reachable by flight from mainland Ecuador. Flights from Quito usually stop in Guayaquil to pick up additional passengers. The flight time between Quito and the port city is about 30 minutes. The stop in Guayaquil is about 30 minutes (do not deplane). Flights from Guayaquil fly directly to Baltra (main Galapagos airport) or San Cristobal (secondary Galapagos airport). The flight time is about 1.5 hours. Most tour operators will insist on a full day in either Quito or Guayaquil before your flight to the islands, in case of delays on international flights -- the cruise ships won’t wait for anyone! Quito is a gem of a colonial capital city, worth spending at least a day and a night in. It has a thriving art, music, and restaurant scene, as well as a bevy of historic sights to discover. However, its new international airport is far from the city centre (45 mins to one hour drive), adding airport transit time to the itinerary. Guayaquil is a more industrial-looking port city, without the charms of Quito. Advantages are more direct flights to the Galapagos and easier access to the airport. Cruises are organised in itineraries of eight days, five days and four days. Longer cruises have the benefit of reaching farther, less-visited sites. Shorter cruises are easier to combine with a land-based experience of the Galapagos and other travels in Ecuador and South America. Hotel-based/land-based trips on Santa Cruz Island are often organised as packages as well. Package length is more flexible, but usually start at four days/three nights. The hotel will organise daily excursions such as speedboat trips to neighbouring islands and guided trips. Island hopping allows you to stay at lodges on various islands linked by short flights or speedboats. Only four islands are inhabited: Santa Cruz, Isabela, Floreana, and San Cristobal. Lodges on the less-populated islands of Isabela and Floreana tend to be more simple, with fewer amenities. Isabela is less populated than Santa Cruz and San Cristobal, giving you the chance to relax and discover the island’s visitor sites without the crowds. 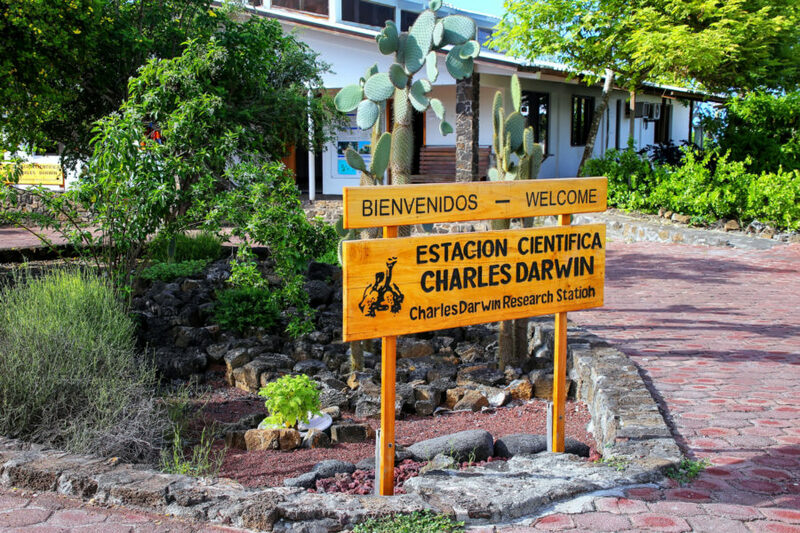 The Charles Darwin Research Station on Santa Cruz island. The Galapagos Islands present an important choice when planning a trip; by land or by sea. Both styles of travel have their advantages, choosing the best trip for you depends on your personal tastes and travel style. Fixed schedule. Cruises take the guesswork out of the equation with set itineraries. Small motorboats (called ‘pangas’) shuttle small groups of passengers at set intervals, with an expert guide in the boat to point out the creatures of the region while making sure that the trips goes smoothly. Flexibility and freedom. When staying on land at the hotels that dot the landscape of Santa Cruz, San Cristobal and Isabela, guests dictate the schedule. Day trips are arranged to the nearby islands by boat in the morning, leaving the afternoon and evening free for doing your own thing. Cover more ground. Boats travel at night, and drop anchor off of the shores of a new destination each day. This gives passengers a broader view of the islands. Zoom in. Land-based trips put you side by side with the local communities by exploring towns and tagging along with fishermen on the morning’s journey. Fine facilities. Luxury cruises have opulent amenities and attentive top-notch staff, but space is limited. More room. Land accommodations give guests the room to stretch their legs at the end of the day. Caution: wet landings. Inflatable motorized boats take travelers from the ship to the shore. Visitor sites have dry and wet landings; wet requiring wading through knee high water to disembark. Caution: small speedboats. When island hopping, shuttle-style speedboats ferry passenger between islands. The journey is often choppy and it’s wise to come prepared with Dramamine. A final consideration when choosing between land and sea options is the footprint you leave after the trip is done. Cruises add to the pollution of the Galapagos’ waters (although many are eco-certified and mitigate their impact). Hotels on land encroach upon the natural habitats of the creatures that surround them. Pay attention to each option’s certifications, awards, and ecological credentials. For travellers choosing a cruise-based trip, the type of boat and facilities on offer plays a big part in their decision-making. However, many simply think about where the boat will be docking and what they’ll do on-shore. Here’s what life is like on board a Galapagos cruise. Life onboard cruise ships revolve around early starts. Mornings consist of wake up calls, breakfast buffets and gearing up for trips to the uninhabited islands. On some ships there are pre-breakfast excursions or fitness classes to get you ready for a day of exploring. Travel from ships to shore is done via pangas (small, motorised rubber boats) that are swift and used for both wet and dry landings. The majority of the day on a cruise is spent exploring different islands. Normally there are activities including hikes and snorkelling in the morning, followed by lunch on the ship, and trips to other parts of the island where you are anchored in the afternoon. After spending most days out exploring, evenings are reserved for relaxing. There is usually a briefing in the evening with your guide to go over the next day’s destination. Depending on the boat these can detail activities for the next day, be presentations about the islands, activities geared towards children, dancing, or time to talk about the day’s events. Accommodation standards vary depending on the level of boat you stay on. The deluxe cruises go all out with luxury rooms, balconies and amenities you would expect in a five star hotel. Others maximise space with more rooms and more passengers. On most ships, there is an inherent trust and things like locks on doors don’t exist. Theft isn’t a concern in the islands, but consider bringing bags with locks for valuables if you’re worried. One thing to consider when choosing a cruise is where the rooms are located. Rooms lower in the water are calmer when it comes to the open sea and can reduce the risk of seasickness. The other side of the coin is they are also closer to the engine room. Breakfast and lunch are normally buffets with an ample choice of international and Ecuadorian food to choose from. Breakfast includes fruit and juice, while lunch gives you chicken or meat dishes and Ecuadorian-style seafood along with salads and vegetarian options. Dinner is normally a more formal affair with a choice of main course and pre- and post-dinner drinks with other guests. Some of the boats include your bar tab in the price, but typically you can expect to pay for alcohol, tips and any other extras. When the weather gets rough the crew decides the agenda for the day. Typically storms only last a short time. If you are out exploring and rain sets in, your guides might decide to head back to the ship until the weather subsides. If it clouds over and is only a light storm, you might be given the option of going out to the islands with appropriate gear. At times the sea can be choppy, and many passengers take sea sickness pills as a precaution. Normally after a few days people have adjusted. If seasickness is a major concern for you, catamarans are the steadiest crafts that operate in the islands. The first time I visited the Galapagos was in 1992 when I was living in Ecuador after I graduated from college. My parents visited and took me out on a cruise. Little did I know at the time that I’d be getting into the travel business. I’ve been back to the Galapagos many times since and we send a lot of people there -- it’s a remarkable and spectacularly beautiful place. However, tourism is having a big impact on certain parts of the islands. 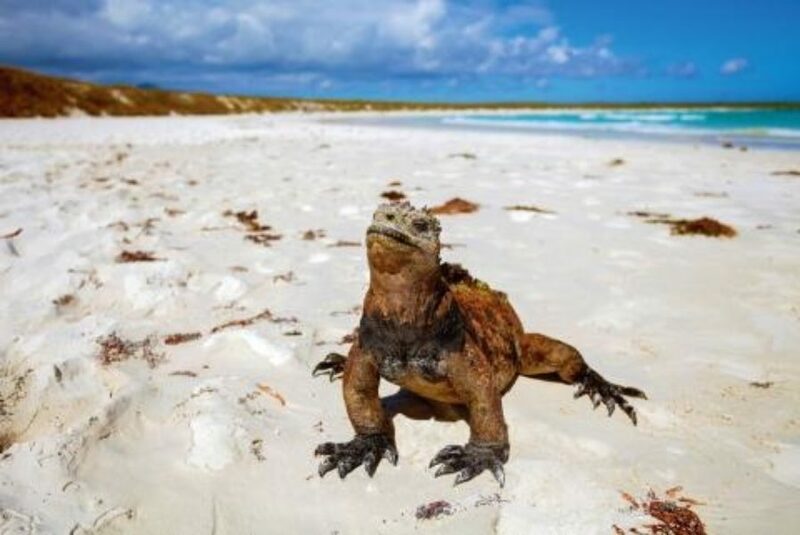 Figures released in early 2019 show that 275,000 people visited the Galapagos in 2018, which is up about 14% on the previous year. Travel to the Islands has changed over the years. Traditionally, Galapagos Islands trips have revolved around live aboard cruises of 12-to-16 people on yachts. Ten years ago, you had 70,000 people visiting on land-based tours and about 75,000 people going on boats. Since then, land-based tourism has tripled to over 200,000 per year, while vessel-based tourism has stayed at the same level or even declined slightly. Virtually all of the growth in tourism to the Galapagos over this period has been in land-based tourism, which has raised a whole host of issues. To create land-based tourism, you needs roads, you need hotels and you need all sorts of infrastructure to support the people who work in the hotels and shops. Before you know it, you have a city and 30,000 people living on a UNESCO World Heritage site. Building all this involves importing a lot of goods through shipments and flights. If you talk to any scientist who works in the Galapagos, they will tell you that the biggest risk to the archipelago is invasive species that wreak havoc on an environment that has been isolated for the majority of its existence. That’s not to say that land-based tourism doesn’t have a place, or that vessel-based tourism doesn’t also raise some of the same issues. It’s simply that vessel-based tourism has been much better regulated, while land-based tourism has exploded and continues to grow at double digit rates -- which is not sustainable. Doesn’t land-based tourism benefit the local population? It’s complicated. There are many people in the Galapagos with valid interests. You can’t blame people who have moved from the mainland to participate in the land-based boom. They’ve moved to the economically fastest-growing province in Ecuador to make a living. The problem is that if you have too much land-based tourism, you run the risk of destroying or significantly compromising the very thing bringing people there in the first place. With vessel-based tourism, the Ecuadorian government has done a great job. Vessel-based tourism takes place in the national park and is very tightly regulated. There is a cap on the number of berths on the boat -- not the number of ships -- and this has been the case for a number of years. In effect, you have a legal cap on the number of vessel-based tourists. Contrasting with land-based tourism, in the last ten years, we went from having a dozen hotels to over 300 which are legally registered. There is a very large hotel capacity which operates at about 30% occupancy, creating pressure for more land-based tourists to fill it -- and that’s with numbers having tripled in the last 10 years. How much more can the Islands take? My feeling is that if you put a cap on the total number of people who can go to the Galapagos and a cap on land-based tours -- a permit maybe -- that would create a limited supply and you would have an ever-growing demand. People will always want to visit. Should tourists still visit the Galapagos? The Galapagos have been an ecotourism success story. Over the many decades people have been visiting, the money generated has created a great incentive for people to protect the Galapagos. Prior to tourism, the archipelago was more lawless. Animals were poached, whales hunted and tortoises taken for meat. That doesn’t happen anymore thanks to better management of the park and the money that comes in through ecotourism. Going to the Galapagos is fine if done the right way. Given the problems posed by land-based tourism at the present time, my own view is that it is currently a better option to go on a live aboard cruise. Some people want to do a bit of both, which is fine if you stay in legally registered properties that have an established track record of operating in a sustainable fashion. Don’t go down the cheapest route. If you’re doing that, you’re likely to not be staying in registered properties and or touring with quality guides. In my opinion, you shouldn’t go if your main reason is something other than nature tourism. If you want to go for surfing, fishing, or a beach vacation, there are countless places around the world where you can do that. You don’t need to go to the Galapagos for that. We want to promote high-quality, highly-regulated nature tourism. To get that, you have to spend money on good guides, legally registered accommodation or live aboard vessels. If you do it that way, you can feel good about yourself and what you’re doing. If you cut corners and do it on the cheap, then you could be contributing to a longer term problem. As a Unesco World Heritage site that has suffered from unsustainable tourism in the past, it is vital that you choose responsible partners when visiting the Galapagos Islands, as well as leaving as small a footprint as possible. 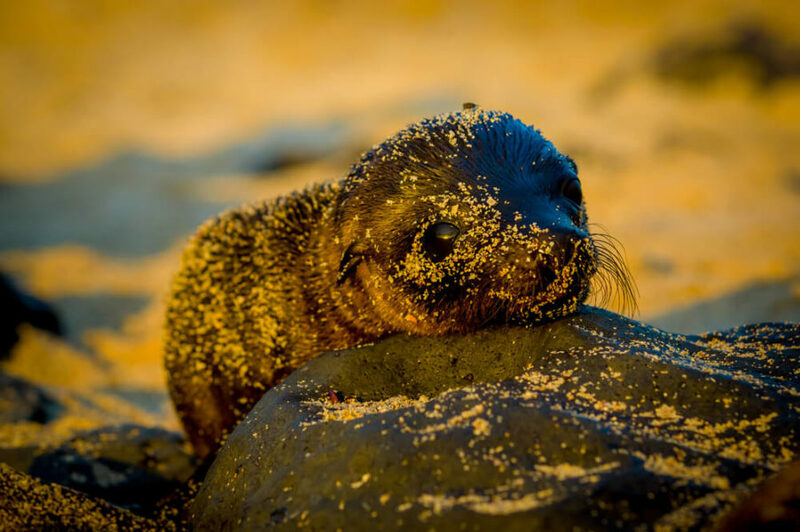 Here are some tips on how you can keep the Galapagos Islands thriving. 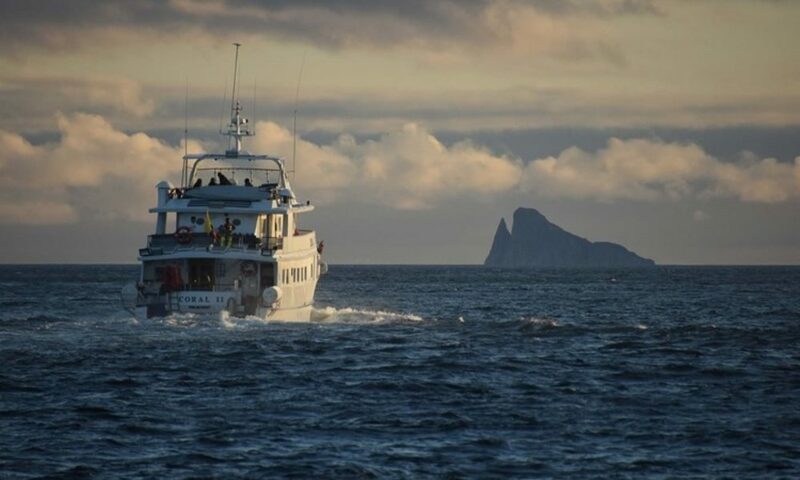 Tour companies in the Galapagos Islands run the gamut from luxury operators on boats with first class amenities to budget options that use every bit of space for cabins and equipment. The important things to look for is a commitment to the islands and their preservation, staff that understand the intricacies of international travel and a level of service that takes into account the needs of individuals. All trips, whether by land or by sea, are required to have certified guides accompany guests. On some boats, these guides are accompanied by naturalists. On others, guides with certification are responsible for entire groups. A rule of thumb to consider is that you get what you pay for. If you are looking for a deal, make sure you vet the company beforehand to avoid any surprises once on your adventure. Commitment to conservation in the islands is often more talk than action. As such, ask companies what they are doing to ease their footprint on the archipelago. Finding out details about how they deal with waste, specific projects they support, and plans in place for sustainable travel will give you a better picture of who you are dealing with. New rules from 2018 require that you must have reservations for a hotel, land-based trip, or cruise before going to the islands. To facilitate this, there is an online form to enter your travel details. Other new rules state that all visitors must have travel insurance and show proof before leaving. The online form is found here by clicking on the Pre-Registro Individual from the left hand menu. It is in Spanish, and a break down in English is available here. When planning a trip, be aware that the Galapagos National Park has tight regulations in place to help protect the islands. These include carefully screening bags before and after your flight and a regulation that each boat can only visit each visitor site once in a 15-day period. This can make things difficult for those who want to visit specific islands during their trip, so make you sure you check your itinerary. Before your flight for the islands leaves the mainland, you need to buy a transit control card for $20. This card helps to track the visitors on the Islands. It is returned at the end of your trip. Once you arrive, you pay a $100 national park entrance fee in cash. The fee helps with conservation projects around the island. Travellers in the Galapagos Islands are expected to stay six feet away from wildlife, even when approached. You also may not feed the animals and flash photography is prohibited. Supporting the local communities is the Galapagos means buying locally. Souvenirs are on every corner and Main Street in places like San Cristobal and Santa Cruz islands. Buying products from local artisans including coffee and chocolate helps sustainable tourism in the archipelago. There are plenty of products that are available for travellers to buy including Galapagos coffee, chocolate, art, and souvenirs. On Santa Cruz Island, jewellery shops sell products made by local artisan women using recycled materials. Artisans also come on board boats visiting the port. This helps to both boost the income of the local people, and tackle the problem of waste on the islands. Banned products are those that use the natural resources of the islands, such as coral and sea shells. Remember that taking anything from the Islands is illegal -- even a small stone. 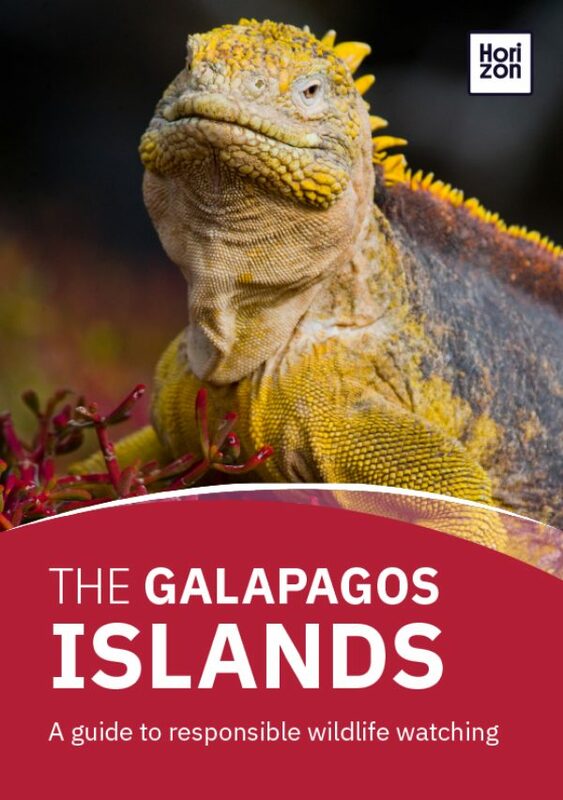 For those who want to make an impact that helps protect the islands after a trip, organisations including the Charles Darwin Foundation, the Galapagos Island Trust, the Galapagos Conservancy and Children of Galapagos have direct donation links that support ongoing programmes. Here’s what you need to know about visiting the Galapagos Islands. The US$ is the official currency of Ecuador, which means no standing in line at currency exchange if you’re travelling from the USA. What documents do I need for the Galapagos? Visitors from North America and most European countries don’t currently need a visa to enter Ecuador, but please double check before departure. Your passport must be valid for at least six months beyond the date of departure from Ecuador. In addition to the originals, bring a copy of your passport, a list of identity card numbers and the international phone numbers of their issuing institutions. Store these separately from your original documents in case of an unforeseen problem with emergency contact numbers and medical information. Valid health insurance is also required to travel to the Islands. Please check that you are covered for emergency air transport as there are only basic facilities on the Islands. What electronic equipment is available in Ecuador? Pack extra SD cards, cables, chargers and batteries for computers, electronics and phones. Even in Quito and Guayaquil, accessories for major brands are hard to find and extremely expensive due to high import taxes. Bringing a point-and-shoot camera is also a good idea for moments when taking out expensive photography gear is impractical. Will my cell phone work in the Galapagos? Cell phones on GSM networks generally work in the Galapagos. Check with your provider to find out the specifics of your plan and the charges for using it internationally. Extremely high rates are common, and it’s better to know beforehand to avoid the shock after returning home. It’s always wise to turn off data roaming before heading abroad. At the airport in both Quito and Guayaquil you can buy traveller's sim cards for your stay in Ecuador. These use a pay as you go system, and don’t require an Ecuadorian ID to activate. Internet in the Galapagos pales in comparison with the speeds of the United States and Europe. Most hotels have connections, but expect limited range, slow loading times and long waits. Internet on board cruise ships is generally unheard of, or will be via satellite connections at exorbitant pricing -- for emergencies only, if at all. WhatsApp with a 3G plan also works on most ships when out at sea. Much better to plan to do without and enjoy your surroundings! In restaurants, a 10% service charge is added to the bill; for crew, drivers and staff, $5-10 a day is fair. For guides and trip leaders, $10-15 dollars a day is the norm. Note that apart from tourism destinations, tipping isn’t typical and what you leave is entirely up to you. Most airlines restrict luggage to one checked bag up to a maximum of 40 pounds and one carry-on bag that weighs up to 15 pounds. This is generally recommended for all air travel within South America. Extra baggage can usually be accommodated for a fee. Are land-based trips better for avoiding sea-sickness? Not necessarily. Although land-based trips mean spending the night in hotels or lodges you’ll still visiting various islands by boat -- usually small speedboats, which can be extremely choppy and can cause problems for younger and older travellers. Can I roam the islands solo? Visitors on organised tours are required to be accompanied by a registered guide for their own safety and for the protection of the islands. You can rent bikes, kayaks, and snorkel equipment and spend days discovering the inhabited islands of Santa Cruz, San Cristobal, Floreana, and Isabela. What are the advantages to different ship sizes? “Large ships” are only relatively large. They carry 90-100 guests with 30-40 crew -- clearly not your average Caribbean cruise liner! Large ships have more facilities, including larger deck spaces and more social areas, but are not necessarily more luxurious than the smaller ships. Higher cabins have better views, but they’re usually more expensive and will feel rockier in strong seas. Smaller ships are able to anchor closer to the islands, but this is less important considering that all cruises use small motorboats to land on the islands. Remember that smaller boats will pitch further in choppy seas, so those susceptible to seasickness should bring Dramamine or equivalents. Catamarans tend to be the most stable vessels. Pack light, quick-drying clothes for the Galapagos. Heavier materials such as cotton take longer to dry in the humid weather. Remember that you’ll be travelling on boats (including pangas and rafts with dry and wet landings) and that you’ll need waterproof clothing. It’s also worth packing seasickness tablets to help you cope with the rocky journeys to the islands.